When I was in my early twenties and beginning to think about coming out, I just happened to have a conversation with a well-read gay man at a dinner party. 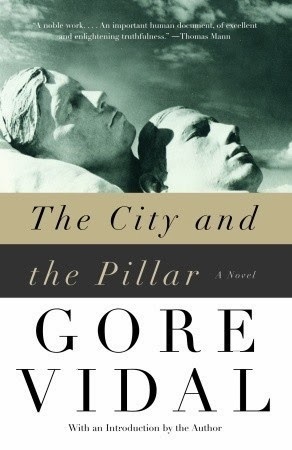 Somehow Gore Vidal’s The City and the Pillar came up. The premise intrigued me, as did the morbid darkness the man described. Thus, this was the first LGBT book I sought out on my quest toward coming out. It was disturbing. But I was intrigued because it is very much a product of the time it was written and the author who wrote it. I ended up seeking out more and more LGBT books in a quest for understanding: of myself, of LGBT history, etc. Mostly, though, the books seemed to mirror the internal struggles I was dealing with–albeit in a much more grandiose, frequently violent fashion. Plus, it’s by Gore Vidal, so I thought I could hide my LGBT curiosity behind a love of literature, or something about that. So really, for better or worse, this is where it all began for me and LGBT books–culminating a decade later in this LGBT book recommendations series I’m doing. So this review is kind of a full-circle kind of thing for me. Most significantly, TCatP was the first ‘mainstream’ novel about a gay protagonist. 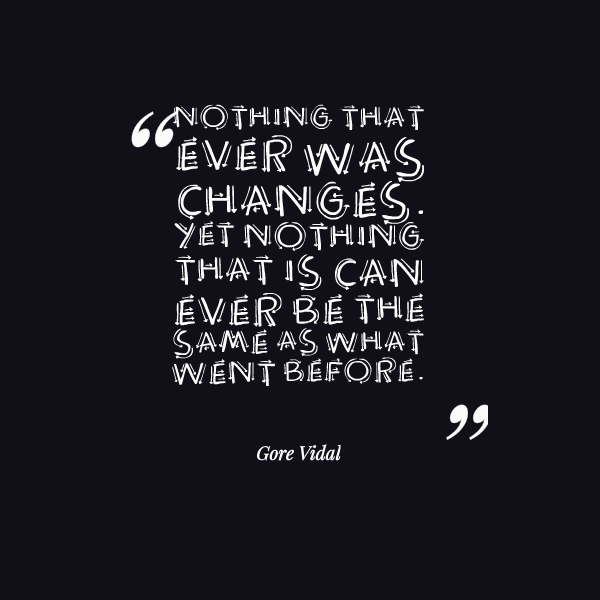 Gore Vidal was a respected, critically acclaimed writer when it was published, so it reached a wider audience and received a great deal more notice. Not all good, of course. TCatP sent shockwaves through the literary world for its front-and-center portrayal of what was popularly believed to be morally reprehensible at the time. The New York Times refused to advertise it. Vidal was blacklisted from the major newspapers and magazines, who would not even review his subsequent novels for at least six years, forcing him to publish under a pseudonym until he could earn his way back into their good graces. But the ‘damage’ was done; TCatP sold well and enjoyed many paperback reprints until Vidal published a revised edition in 1965, which was also a success. The revised edition, which altered passages Vidal deemed melodramatic and made the ending slightly less violent, has become the standard version of the novel and it is the one I will review here. Jim Willard and Bob Ford are high school friends in the 1930s. Bob is a year older and graduating from high school when the two young men go on a camping trip that turns into an illicit night of passion. Jim is hopeful that they will be together forever, but Bob joins the Merchant Marines and splits town. Undaunted, Jim goes to sea himself, beginning a seven-year odyssey to reunite with Bob. Along the way, Jim accepts that he just isn’t attracted to women and has several affairs with men, including an actor in Hollywood and a writer in New Orleans. None of them can replace his fixation on Bob–indeed, to Jim they are merely placeholders. He has placed himself on hold, and everything he encounters is but a temporary burden until his life can finally begin with Bob. Of course, a reunion does eventually happen and it does not go according to Jim’s plan. Bob has married and barely remembers their tryst–looking at it with embarrassment when prompted. Jim gets him drunk and tries to make a move but is rejected, leading Jim to commit a violent crime against Bob, who has been the object of his every desire for almost a decade at this point. As a reading experience, The City and the Pillar is extraordinarily depressing, especially if you happen to be a confused twenty-year old looking to explore LGBT literature so you can understand yourself. That feeling of despair has stayed with me in the ten years since I first read this book. However, it could be argued that Jim’s pathos does not come from his homosexuality but from his inability to let go of the past. The destruction he brings about is from his desperation not to let go of a wish that was, frankly, never going to come true. At any point in the narrative Jim could have made an honest try at life, but he rejected it to tilt at windmills instead. Jim is also, quite consciously on Vidal’s part, a rather absolute rejection of the stereotype that all gay men are either feminine or lonely, bookish types. Jim is an athlete, for one thing, and a good one at that. He makes anyone afraid that they don’t fit in with the stereotype of homosexuality feel less alone, in a big way. Of course, you can’t forget that he’s also a cautionary tale for a more general audience. He’s a complex, multi-faceted being who defies simple categories. Yes, it’s depressing. But this is a solid, important work by a writer at the top of his game. And I can guarantee you from my own personal experience that this is a novel that will haunt you.